Summer is the best time for reading in my opinion.. 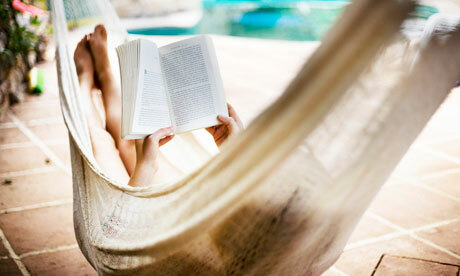 Whether your going to the beach, hanging out by the pool or traveling you can find ways to make time to read. Its relaxing and calming and why I try to make time to do it. Whether is a small apartment corner or its own space creating a zen calming space to read is perfect to relax and pick up your book. In my apartment its small so I created a small corner with a ottoman and a faux fur stool by my window for a nice reading corner. Write down a list of categories of what you want to read. Self motivation, autobiography, non-fiction or fiction write your list down This can help you figure out your reading list and make it easier to find the right books. One of my favorite ways to get inspired to read is to walk through Barnes and Nobles and check out new books or their suggestion tables. Then I create a reading list. I'm a savvy shopper so once I have my list I compare prices on every website and then order my book. But having a Reading List will both motivate and excite you to pick up your new book. I find that setting aside at least 15-30 minutes before I go to bed is my reading time. Before I go to bed if I read a little I just feel more productive and my mind is at ease. If at night doesn't work for you then figure out a time in your day to set aside, whether its first thing in the morning or setting that good book aside when your ready to travel to the beach. Sometimes for some, trying to find time for reading can make you feel like its a chore. If your feeling this way then fall back in love with why you like to read in the first place. One of the reasons I love to read is that it takes me away from the everyday stresses in my life and distracts me in a positive way. I love that! I hope you guys enjoy this post and my suggestions on how to make time for some Summer Reading!! I love these tips.I always seem to make time for other things but reading. Great post! !